Under legislation that came into effect in April 2017, UK employers with more than 250 employees are required to publish and report specific figures about their gender pay gap. 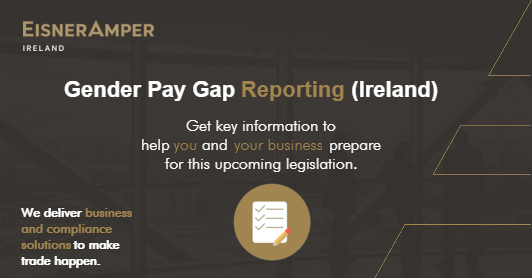 The Irish government has recently published a similar draft bill (view the proposed Irish gender pay gap bill here), which is expected to be enacted in the near future and will make gender pay gap reporting a requirement for certain Irish businesses. The bill is currently before Dáil Éireann (in the third stage) and the status, in addition to the history, of the proposed gender pay gap bill can be accessed via oireachtas.ie. We outline below some key information and points of note that organisations should take into consideration in their preparation for this potential new business requirement. According to the European Institute for Gender Equality, gender pay gap “represents the difference between the average gross hourly earnings of female and male employees.” Source: eige.europa.eu. What Is Ireland’s Gender Pay Gap & How Do We Compare With The EU? Eurostat’s 2016 Gender Pay Gap Statistics Report notes that the gender pay gap in Ireland is 13.9%, which means that on average women get paid €86.10 for every €100 paid to their male counterparts. Although Ireland ranks 11th of 28 in the EU (europa.eu, 2016), and is below the average of 16.2%, it is still some way off the lowest EU gender pay gap which was recorded in Romania with an average of 5.2%. The gender pay gap is the disparity between average earnings of men and women in an organisation while equal pay means that men and women performing the same role must receive the same rate of pay. If a majority of senior positions in an organisation are filled by men (or women), there will be a gender pay gap, even if the equal pay laws have not been broken. What Is Gender Pay Gap Reporting? Gender pay gap reporting is the obligation to publish detailed annual reports highlighting an organisation’s pay differences across a range of metrics. What Is The Objective Of Mandatory Gender Pay Gap Reporting? The objective of mandatory gender pay gap reporting is to highlight any discrepancies that may exist between the average pay of male and female employees across medium-large sized organisations. Ultimately, according to the Department of Justice and Equality, the goal is to remove the barriers which prevent the advancement of full socio-economic equality for women. Who Does The Gender Pay Gap Legislation Affect? Initially, the proposed legislation will affect companies that have 250+ employees, although the government plans to eventually extend the obligation to organisations with 50+ employees. When Will The Legislation Come into Effect? A date has not yet been set, which should provide employers the opportunity to take steps to address requirements before reporting becomes mandatory. What Information Will Likely Be Required In Your Gender Pay Gap Report? Similar to the UK, it is likely that completed gender pay reports will be required to be published on the company’s website and uploaded via an online portal, the exact details of which are yet to be revealed. It is expected that fines will be levied against firms that fail to comply with their reporting obligations. Reputational damage may also potentially serve as a deterrent to non-compliance. At EisnerAmper Ireland, our dedicated team of outsourced payroll professionals possess the tools and the expertise to analyse your payroll data and produce detailed reports highlighting the current gender pay gap in your organisation. From this, we can highlight key areas to address, which will allow your HR function to develop a strategy to address any imbalances and make year on year improvements in your gender pay gap report. 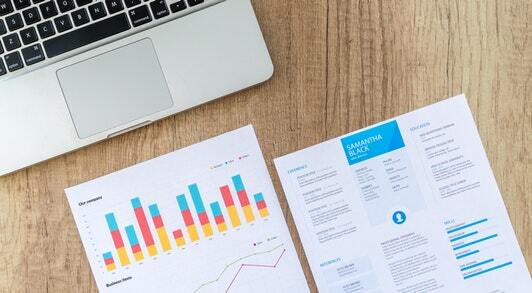 Learn more about our outsourced payroll services here. Request a payroll quote or request a callback from our specialists now.